We hope you will find something to further your research. Check out the awards that Tina won, what webrings we belong to and other links that may be helpful in your research. 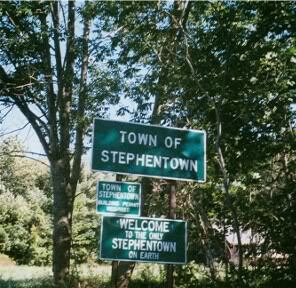 Signs on the road into Stephentown. 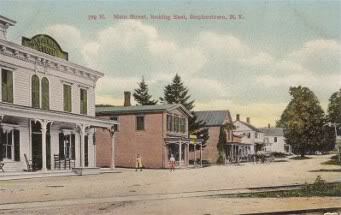 Depicts Main St. looking west, Stephentown, N.Y. The building on the right has a sign that reads: "Mt. Whitney Grange". 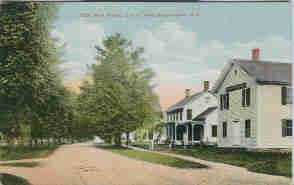 Main Street, looking east. In the foreground in the Vanderbilt House.